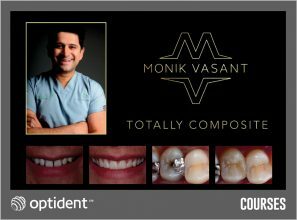 The totally composite course is an intensive anterior and posterior composite masterclass for dentists and dental therapists of all levels. Taking place at a variety of locations (both in the UK, and overseas), this two-day course is running throughout 2019. This highly practical course is designed for all dentists who wish to increase their skills in modern techniques for successful anterior composite restorations. Taking place at the Dominic Hassall training institute located in Solihull from 26th-27th April 2019, this course also provides Level 1 & Level 3 certification. 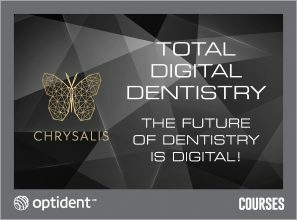 The Digital Dentistry Conference will be held on May 24th, 2019 at the Design Museum in London. 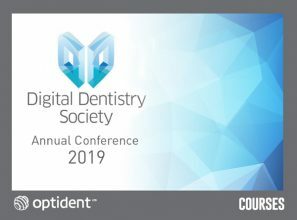 With a variety of speakers, this annual conference is dedicated to the advancement of digital dentistry; covering a variety of topics from 3D digital planning to digital workflows. 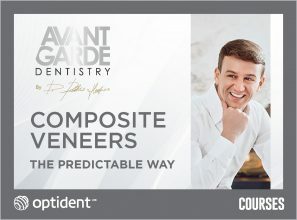 This two-day course teaches you the workflow that allows both dentists and therapists to deliver beautiful composite veneers every time, no matter the level of experience. 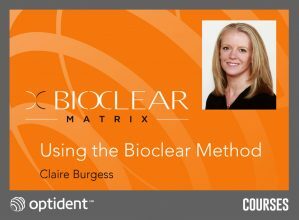 Taking place on 31st May & 1st June 2019 in Liverpool – this course is taught by Dr Hughes, principal of Dental Excellence UK. 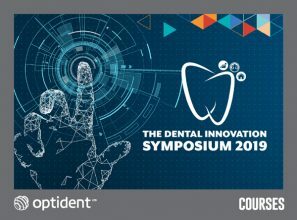 The Dental Innovation Symposium promises to give you all the insight you need to grow your practice under one roof. Based in London on the 7th June 2019, this two-day event is for practices open to thinking differently and driving their dental business forward! 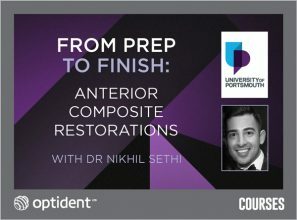 Join Dr Nikhil Sethi and gain the skills required to predictably create an anterior composite restoration utilising the latest techniques to successfully produce a long-lasting aesthetic restorative result. Taking place on 7th June 2019 at Portsmouth University, this one-day course aims to provide clinicians with a clear structure when approaching any anterior composite in practice. 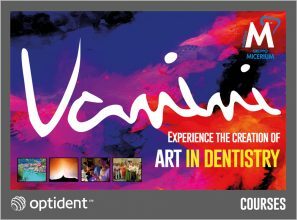 This highly practical course is designed for all dentists who wish to increase their skills in modern techniques for successful anterior composite restorations. Taking place at the Dominic Hassall training institute located in Solihull from 19th – 20th July 2019, this course also provides Level 1 & Level 3 certification. 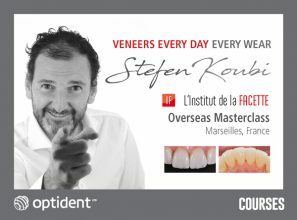 Learn from Dr Stefan Koubi, one of the founding members of StyleItaliano – in Marseilles, South of France. This unique & intensive hands on programme is the only course to offer LIVE worn dentition cases performed for 3 days (4th, 5th 6th September 2019). FULLY BOOKED: Join the waiting list! 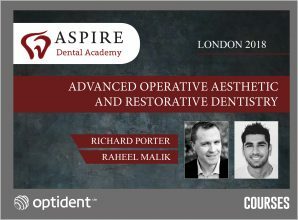 This is one of the UK’s most hands-on advanced operative aesthetic and restorative dentistry courses available; consisting of 12 days of seminars, hands-on practical exercises and group discussions. With a variety of dates available throughout 2019 & 2020, this comprehensive course is located over two venues in London. Learn the digital protocols and workflows for smile makeovers, implantology, periodontology and orthodontics on this comprehensive three module course (consisting of three days per module). Taking place in Liverpool, on a variety of dates throughout 2019 – this course can either be reserved as a full package or per individual module. This is a unique chance to see the developer of the Enamel Plus HFO / HRi composite system and one of the leading restorative dentists in the beautiful Ligurian Riviera, Italy. 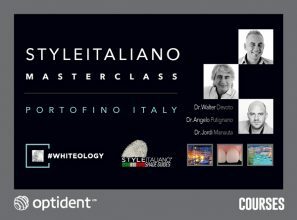 Taking place from 17th September 2020 – 20th September 2020, this masterclass has been a much loved Optident event for over 15 years.